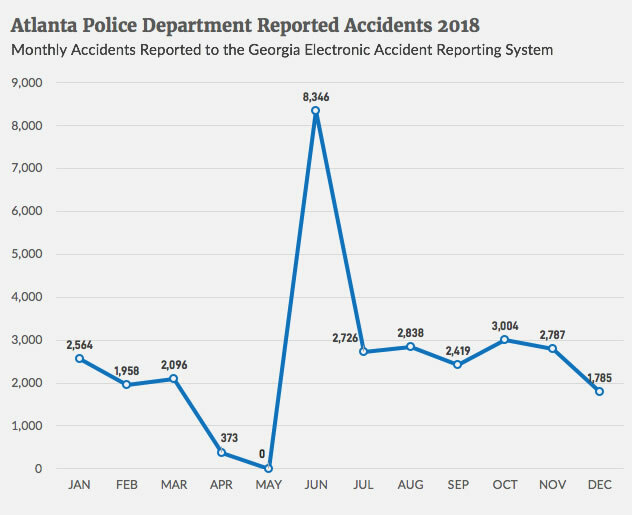 Below are the crash statistics for Georgia in 2018, as reported by police departments and the Georgia State Patrol. The statistics below reflect the reports entered into the Georgia state crash repository by each agency. If you look at the monthly reporting, you will notice that not all police departments report consistently. 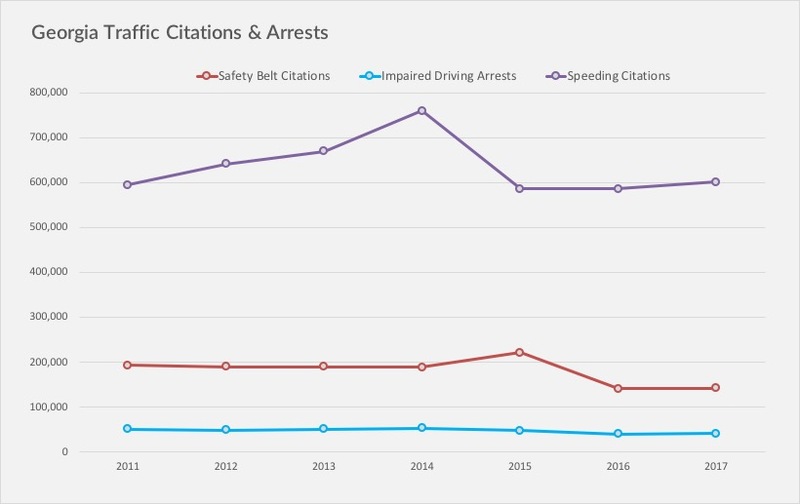 For example, if you look at Atlanta police department, you can see that in April there was not many accidents reported and in May there were 0 reported. However, in June there were 8,346 crashes reported which made up for the underreporting in the previous months.